It is a common belief that financial responsibility of all on-the-job accidents falls onto the shoulders of your employer, and/or, more accurately, its insurance carrier. While workers’ compensation takes the place of suing your employer in most cases for causing personal injuries, you may still sue a third party who may have been responsible for causing your injuries. For example, if you were driving on the clock for work, and were hit by negligent driver, you could file a personal injury lawsuit against the negligent third-party driver while also receiving workers’ compensation benefits from your employer’s workers’ compensation carrier pursuant to Florida’s workers’ compensation statute 440.39. It is important to work with an attorney with experience in workers’ compensation and third-party personal injury lawsuits and workers’ compensation liens in order to maximize your recovery in both types of cases. It is generally wise to file for workers’ compensation benefits and also go after the negligent third party at the same time. Workers’ compensation does not pay for your pain and suffering, scarring, disfigurement, or other non-economic damages. These damages can often be the most significant, financially, and are payable from your personal injury lawsuit. For this reason, pursuing the third party for these damages is a good idea. But, there are additional benefits by proceeding with a workers’ compensation claim as well. Workers’ compensation awards two-thirds of your weekly pay, as well as all medical costs associated with the injury. And, you are supposed to receive these benefits in a timely manner (in relation to filing a personal injury lawsuit or waiting for a settlement, which can take years). Because of these reasons, you are likely to receive biweekly compensation, and receive medical help with the relative speed that comes with the workers’ compensation case, which gives you some breathing room while litigating the third-party action. 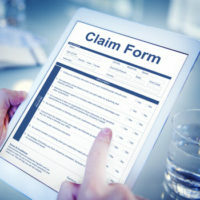 When you receive workers’ compensation benefits and also file a lawsuit against a third party, the workers’ compensation insurance carrier will assert a lien on the third-party lawsuit monies you may recover as is its right under Florida law. Once the personal injury lawsuit is won or settlement is reached, your attorney will negotiate the workers’ compensation lien. It is vital to work with an experienced attorney, because the workers’ compensation insurance carrier will attempt to take as much as possible from the personal injury lawsuit recovery. If you were injured by a third party while on the job, give us a call today to discuss your options and whether you have the opportunity to file a personal injury lawsuit while collecting workers’ compensation. Contact the West Palm Beach workers’ compensation attorneys at Celeste Law Firm today at 561-478-2447.